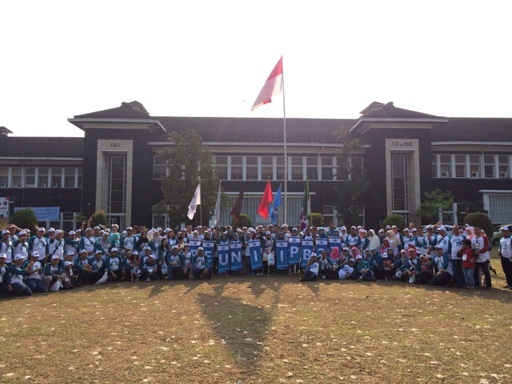 The 27th college year –my grade- Silver Reunion of of Bogor Agricultural University that held last Saturday at the Bogor Botanical Gardens made my weekend enjoyable and impressive, though I experienced a loss later that afternoon. It was a big event of the whole faculties that attended by more or less 500 people. I didn’t recognize many of them anymore, hahahaha, so I preferred to gather with familiar faces –friends of the same study program class. 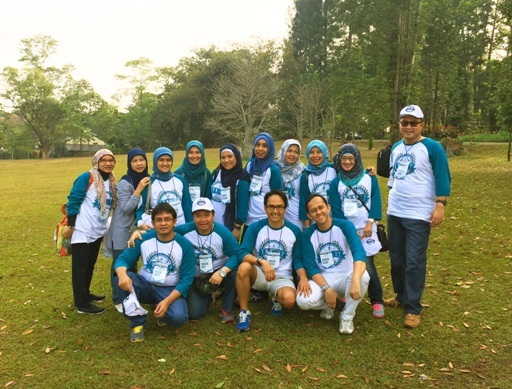 Opened by the vice of Bogor city mayor who also an alumni, the reunion started with a morning walk together following the path from Bogor Botanical Gardens-front campus- Bogor underpass-and back to Bogor Botanical Gardens again. Lots of fun games were held to make stronger the bond between graduates again. It’s a pity I can’t share various pics here since I lost my pocket camera that afternoon. I was sure that I kept the camera inside my right pocket. I wasn't aware when and where it fell -it made me hard to trace it. Oh well, it was my unlucky day but the whole day still nice to memorize.